Copyright © 2012, SVJ Designs. All rights reserved. 28 28 comments have been left about this theater. 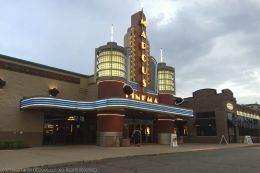 This movie theater is near New Berlin, Hales Corners, Milwaukee, Greenfield, Muskego, West Allis, Greendale, Franklin, W Milwaukee, West Milwaukee, Elm Grove.